Cycling in the most beautiful places in New Zealand ! An exceptional adventure awaits you at the other end of the world, discover the natural beauty of New Zealand. Nowhere else in the world will you find such a variety of landscapes: Glaciers, volcanic mountains, hot springs, lakes, Pacific coasts, virgin forests, snow-capped mountains and deep valleys opening onto fjords. New Zealand concentrates all the most beautiful European landscapes. A unique cycling experience! Depart for a long flight of approximately 24h00 to one of the furthest lands from Europe. Welcome to Christchurch, New Zealand’s second largest town, which stands above the Pacific coast. 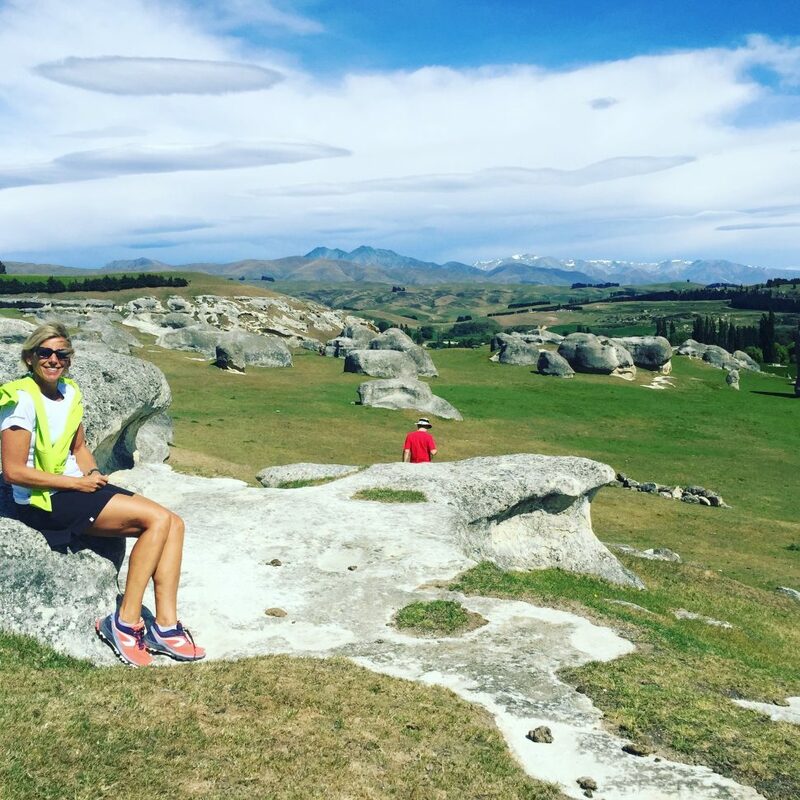 Shortly after your arrival, you will have the opportunity to visit the city and Port Hill where you can admire the view of the South Pacific and the plains of Canterbury which open onto the foothills of the “Southern Alps”. After breakfast, your day begins with a transfer to Lyttelton, the starting point of your cycle towards Diamond Harbor. 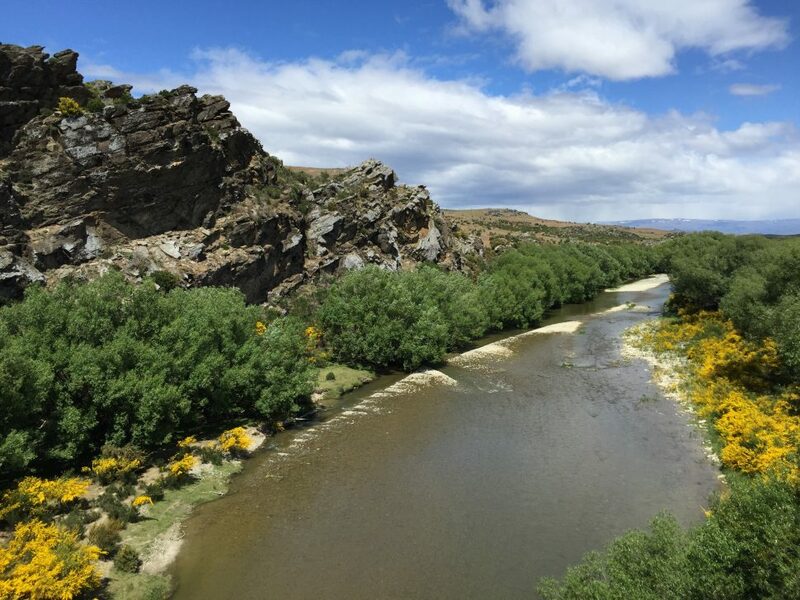 After the lunch break, you will discover the beautiful landscapes from the Littel river to Motukarara. Transfer back to Christchurch. The day begins by a bus transfer to Lake Tekapo and Pukaki Reservoir. 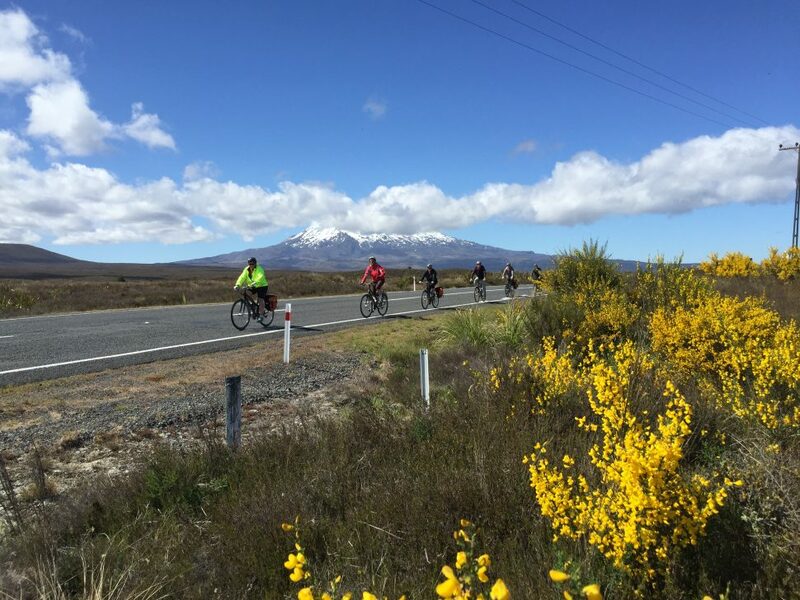 The first bike stage will allow you to spot the famous Mount Cook by following the route of the canal to Lake Ruataniwha, known for its rowing regattas. Your tour ends in Twizel. Stroll through the “High Country” and pass right next to a Hobbit village, many scenes from the film trilogy of “The Hobbit” as well as “Narnia” were filmed here. Your route will follow the “Vanished World Heritage Trail” to the Pacific Ocean through a beautiful hilly landscape. Your goal today: the small fishing village of Moeraki and the famous “Moeraki Boulders”. In the evening or the next morning, departure by bus to the lighthouse. 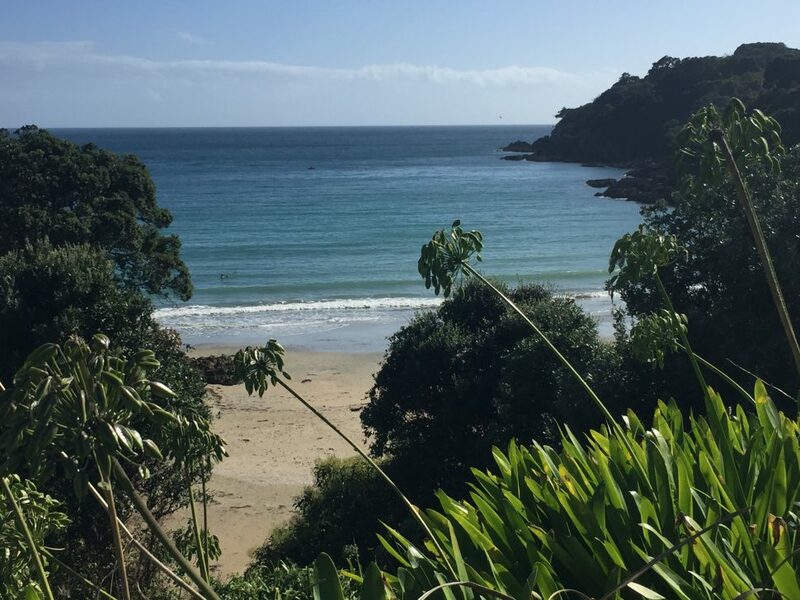 A hike will take you to see the yellow-eyed penguins and sea lions. Yellow-eyed penguins are on the verge of extinction. In the morning, leave by bus to the Macraes Flat, the largest active gold mine in New Zealand. Since 1990, 1.8 million gold bars have been extracted from this mine. We can observe the area from a beautiful belvedere. One of the most beautiful bike stages awaits us. From 500m above sea level, it’s time for a descent to the village of Hyde. 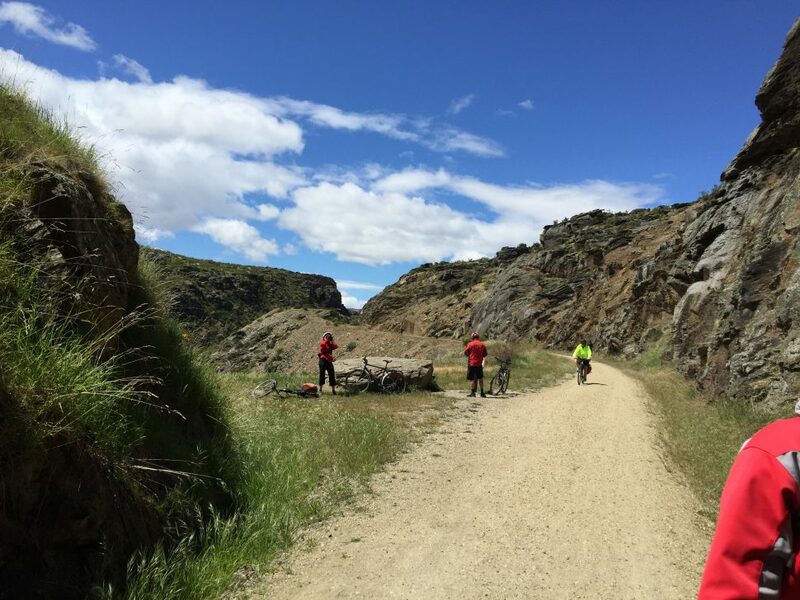 The circuit follows the gold prospectors Otago Rail Trail, a disused railway track dating from 1879, through tunnels and over viaducts with an impressive view of the Otago landscape. In the morning, you can practice curling (yes really !!) on real ice or just soak up the atmosphere of the mining village of Naseby. 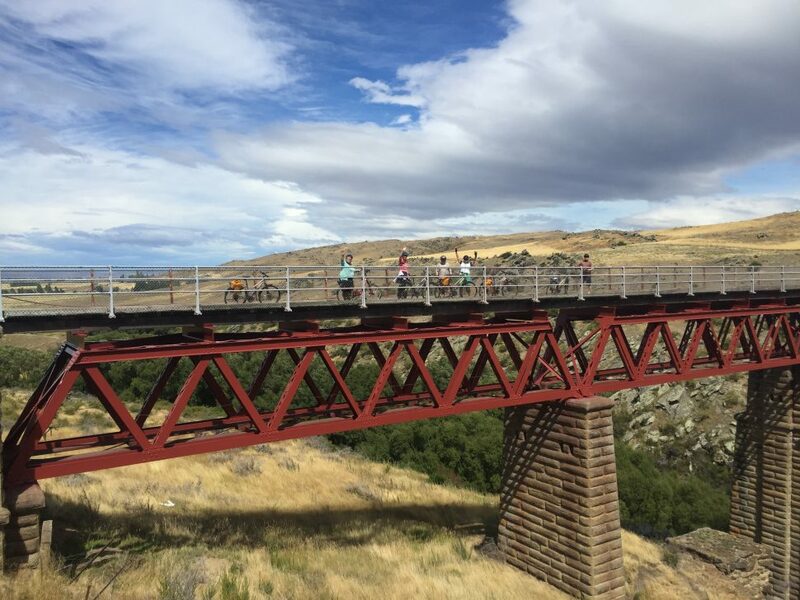 Depart from Naseby by bus to Wedderburn then continue by cycling on the Rail Trail. Queenstown is the St-Tropez of New Zealand. The city has a lot to offer, from zip lining to rafting, steamboat rides to bungee jumping. 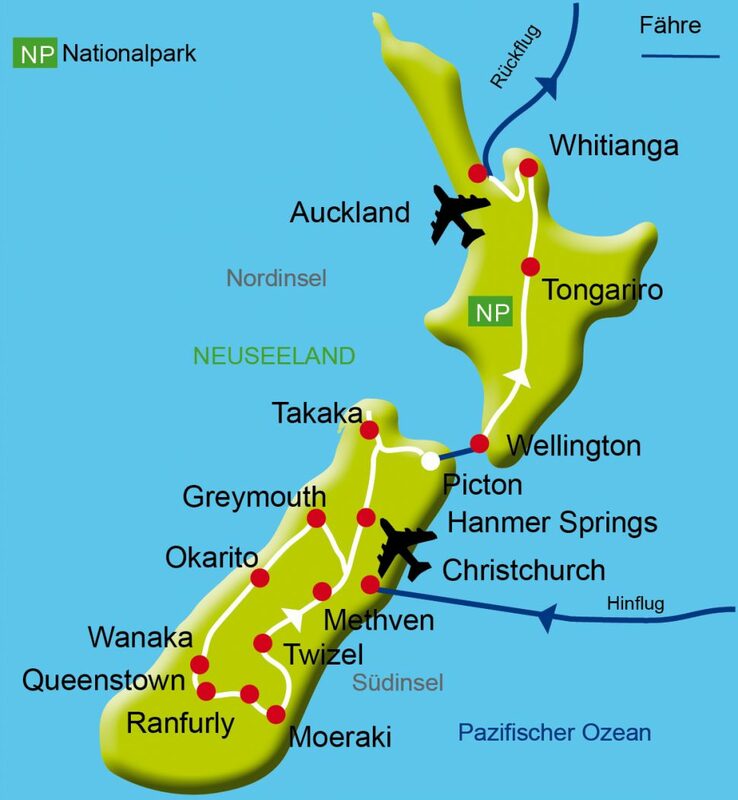 For a half or full day, you can also travel to Milford Sound by plane or by bus if you feel tempted. In the morning, we visit the legendary gold prospecters town of Arrowtown. 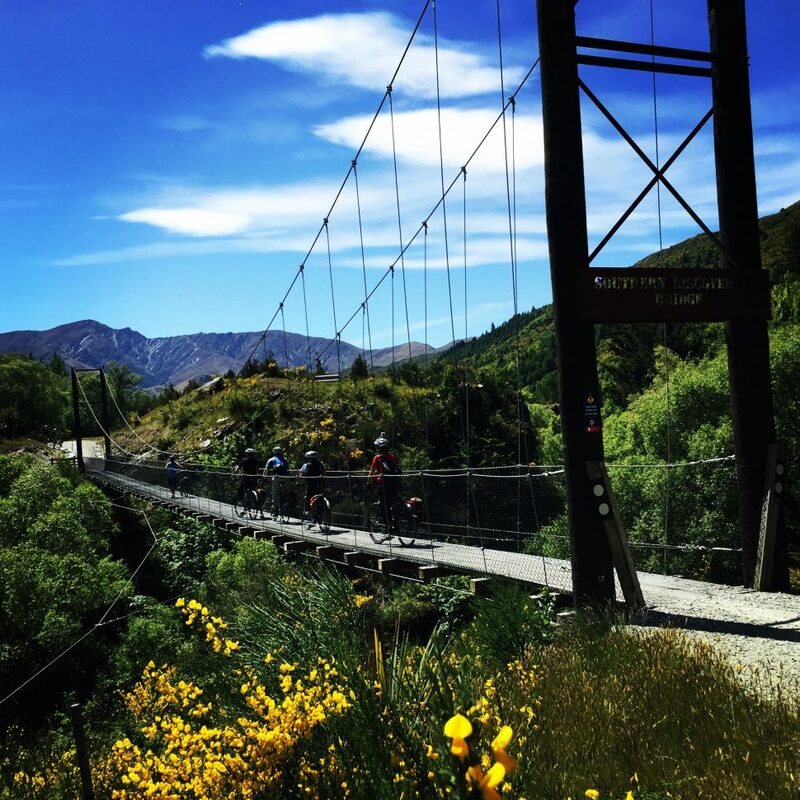 On today’s cycle tour, you will have a splendid view from Crown Sattel over Wakati Lake and then over Wanaka Lake. We will cross the highest tarred pass of New Zealand and then descend to Wanaka, on the banks of the lake bearing the same name. A day full of contrasts awaits us. By bus, along Lakes Hawea and Wanaka and through a very impoverished mountainous region, we reach Makarora. 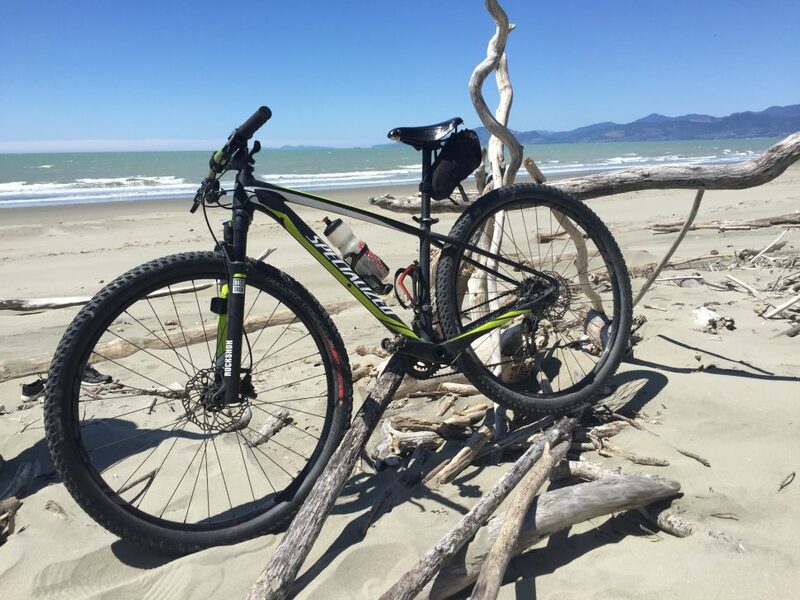 By bike we go on to the Haast Pass, walk to the 30m high Thunder Creek waterfalls and cycle down to the sea. The circuit runs along the Mt-Aspiring National Park. In clear weather you can see the snow-capped peaks glittering in the sun. A bus ride from the swamp forest of Kahikatea to the Fox Glacier followed by a short hike takes you to the foot of the glacier in the middle of the rainforest. Early in the morning we are driven to Lake Matheson and on a clear day have a fantastic view of the New Zealand Alps. Relaxing break at the lake. The hike to the foot of the Fox Glacier or the nearby Franz Josef Glacier is an unforgettable experience. From Mahinapua lake we drive through the rainforest, go around Lake Kaniere and reach Hokitika. Bike ride on the West Coast Wilderness Trails, between Ross and the Mahinapua Lake. Travel by bus to the capital of the Jade carving business, Hokitika and visit of one of the jade manufacturers. We start the day at Lake Kaniere on a spectacular cycle route through the rainforest to Kumnare passing close to a real cowboy village. We continue by bus on the coastal road to the famous Pancake Rocks in Punakaiki. These limestone formations are so named as they are reminiscent of pancakes. Here, in the heart of Paparoa National Park, we will take a walk to the Blow Holes. From there, we go from the west coast to the northern part of the New Zealand Alps, through the Buller Valley and through the alpine region of Nelson Lake National Park to St Arnaud. Short transfer from the mountains by bus to the new “Greate Taste Trail” from Motueka to Nelson. This includes a ferry trip to Rabbit Island. Beautiful walk along the coast in a Mediterranean climate. The region is known for its many art studios. A day of free time in Nelson. 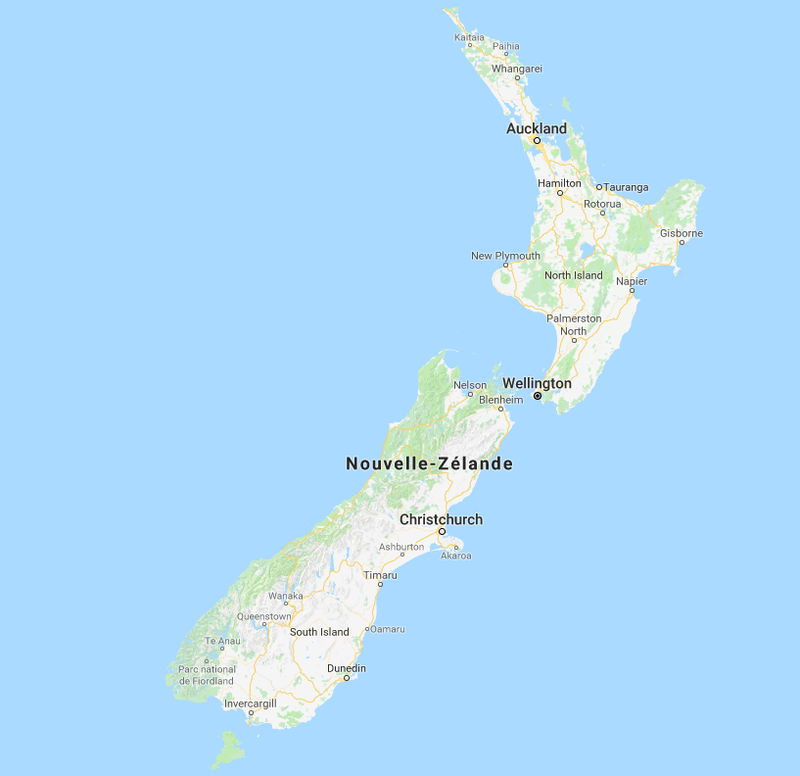 Nelson is situated on Captain Abel Tasman’s favorite coast one of the first explorers to discover Australia and New Zealand. 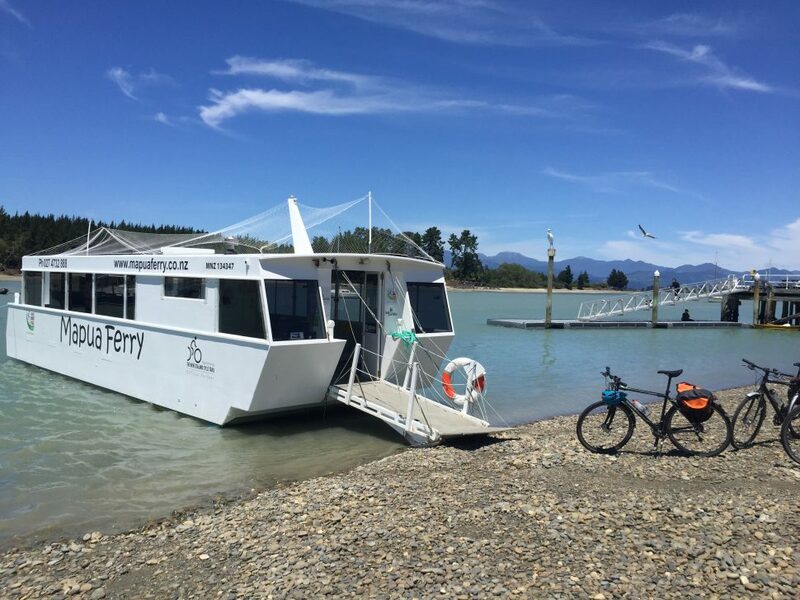 Depending on your wishes, you have different options for this day: Abel Tasman Track, a bike ride around Nelson (no extra charge), a wine tasting or a kayak tour. No cycling today. After a short tour of the city, we visit Mount Victoria with magnificent views of the city and the port, the Parliament building, the historic district of the city, and St. Paul’s Church. Then we visit one of the most innovative world museums, the Te Papa National Museum. In the afternoon, drive along the west coast to the city of Gardens, Wanganui. Get ready for a new, beautiful cycling day in New Zealand, the SH 4 circuit. It runs along the Mangawhero River to the Tongariro National Park. A short pause in the small hamlet steeped in Maori culture, then continue to Raehiti on the edge of Tongariro Park. The Wanganui River Road, 100km long, leads along the Wanganui River and the Wanganui National Park. The tour finishes in the Tongariro National Park a UNESCO World Heritage Site. This immense plateau is dominated by the three volcanoes: Mt Ruapehu, Mt Ngauruhoe and Mt Tongariro. 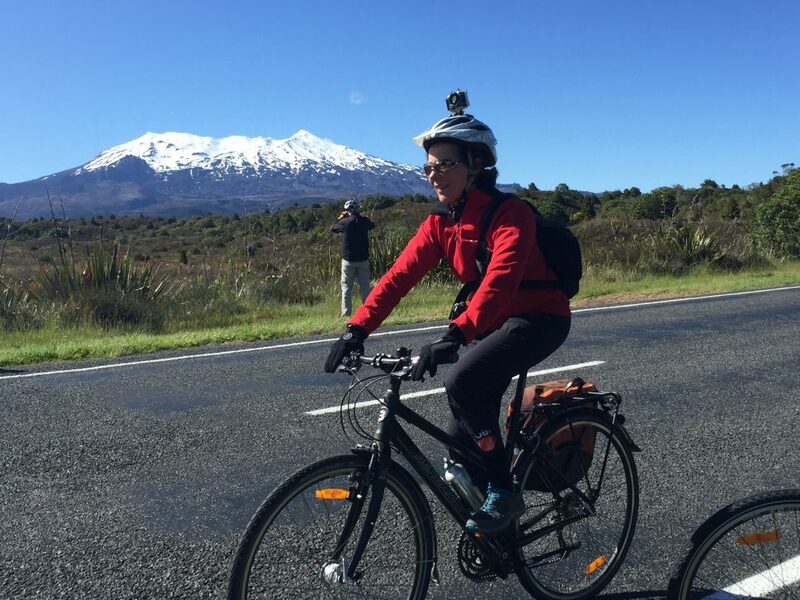 Today we will cycle along Lake Rotoaira to Turangi near Lake Taupo, the largest artificial lake in New Zealand. Rotorua, with its gigantic geysers and bubbling mud baths, is the most active of the world’s thermal regions. In the evening, Maori shows with traditional dances and songs that end with the traditional Hangi. Visit of the city and various thermal regions. We leave Rotorua along Lake Rotorua towards the Kamai-Mamuka Forest Park. Soon the bike tour begins. After 3km we reach Tapapa and Te poi. From there, it’s not too far to the quiet “Old-Te Aroha Road”, a side road along the Kamai-Mamuka Forest to Te Aroha. Night in the village accompanied by stories of gold prospectors. Free time in the morning. The small village has attractions that are well worth a look. The bus takes us to the Gulf of the Thames and on the coastal road to Mianda and Clevedon. The day ends in Auckland with a tour of the city. In the morning, we have a short bike ride to the Auckland ferry. Bicycles come with us on this beautiful crossing to Waiheke. On the island, famous for its wine and beautiful bays, we continue our bike ride. We look after your visa. Please check the section "Essentials things to know" for this tour. Mainly easy routs. Asphalted side routs, or not asphalted,agricultural roads and gravel roads.